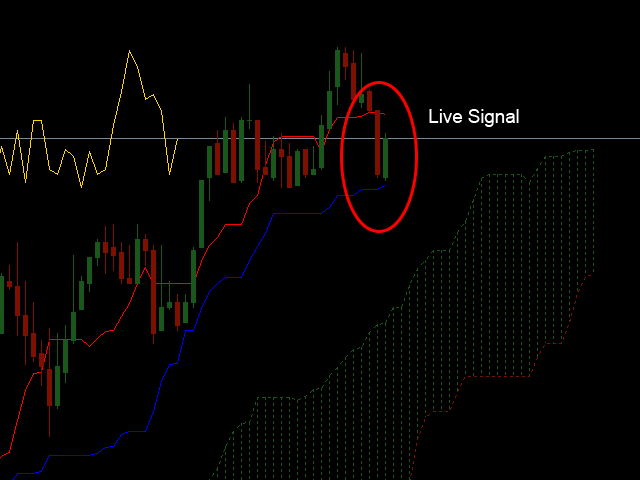 Do you like trading kijun folds? This DashBoard is probably the tool you absolutely need! 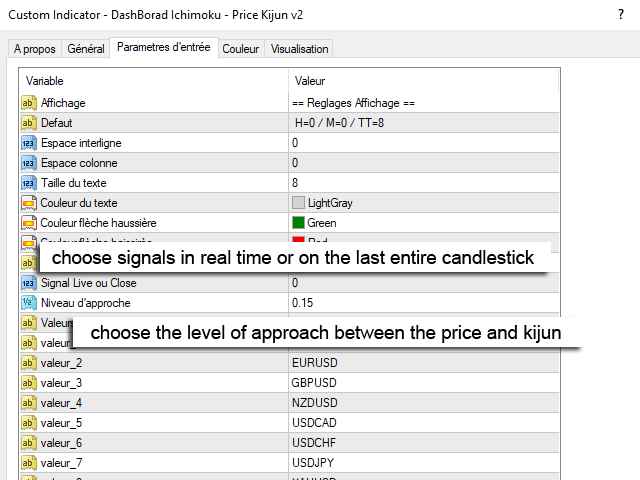 This DashBoard is looking for you kijun price, ie the values that came to touch or almost touch their kijun during the session. 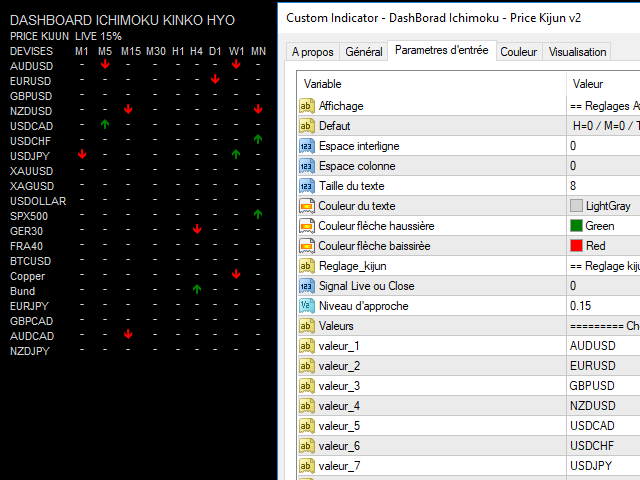 But that's not all, this DashBoard is also set to filter the values from the beginning of a trend and having a chikou totally free of any resistance. 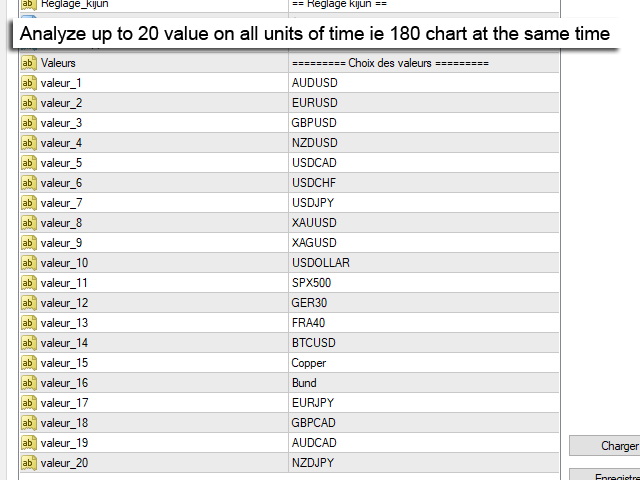 From the settings window you can choose the level of approach of the price with respect to the kijun. The DashBoard is set to 0.15 or 15% per default, you are free to change this value. 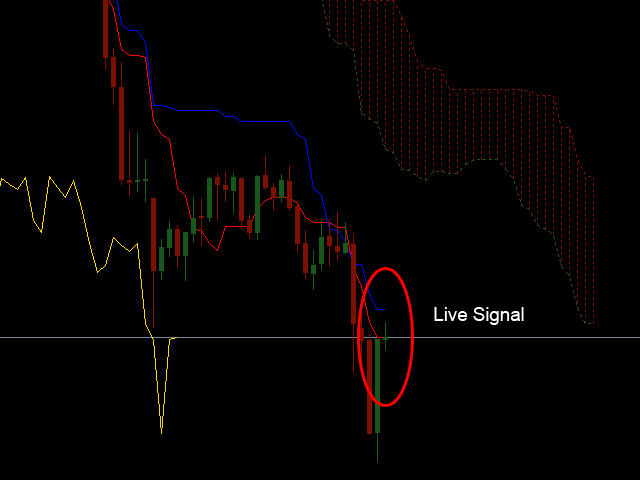 You can also customize the visual of the indicator by changing the size and color of the text, the spaces between the line and the columns, change the colors of the warning signals. 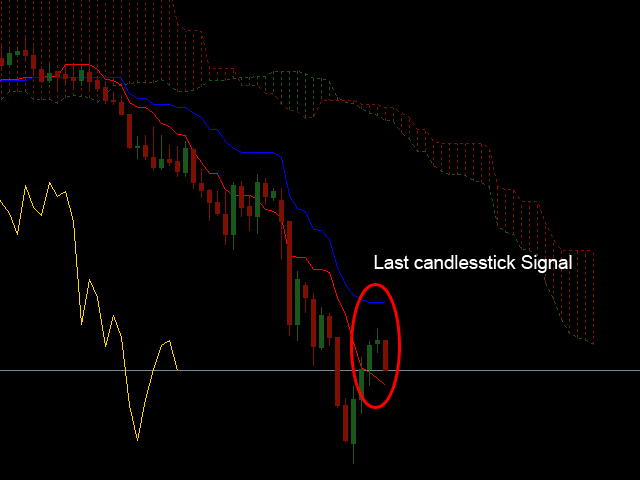 You are free to choose between live signals (the current candle) or closing (the last candlestick).